There are almost 30 million posts on Instagram tagged #tired. Almost 200K are describing #tiredmom. As a generation of mothers, we are tired. We are running on fumes. We are exhausted. We need more energy and it needs to be real. No chemicals or temporary fixes. Tired. Exhausted. Dragging. Does that describe you? 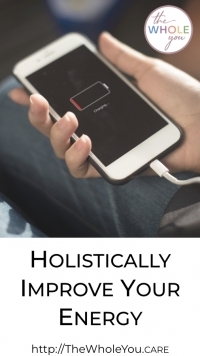 You need holistic energy tips that work and I’ve got a bunch for you. These are tips that are safe, effective, can work on a lasting basis. 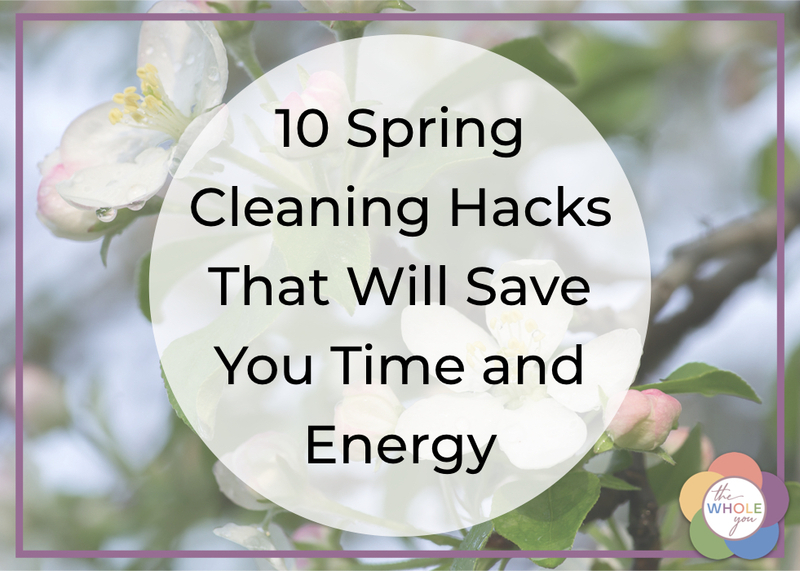 After you read through them (and do them) be sure to share this post on Pinterest or Facebook so your friends can also naturally boost their energy. 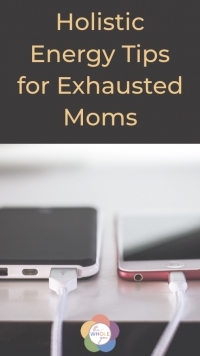 Let’s dive into these holistic energy tips for exhausted moms! Your phone is a very useful tool. A successful day is usually the culmination of many small actions. Increasing your energy is the same. There is not ONE solitary action that provides your energy—it is a culmination of many things throughout your day. 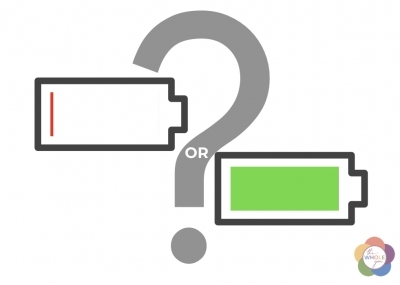 Some small things that help with energy levels are easy to let slide, but can’t be made up later. Your water intake, for example. Every cell in your body needs water. Even slight dehydration can lead to an energy slump. It’s important to stay hydrated throughout the day. To help you remember to take a drink, set an alarm for different times in the day. You can use this tip to help you better implement some of the following tips! Here are a few ways that some of my friends use their phones to help with life. Your body wants to know what to expect. It craves a regular sleep cycle. 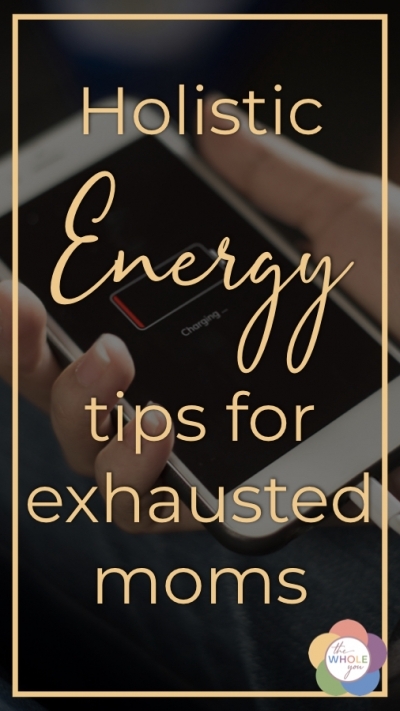 Now, the issue of enough sleep is one thing when it comes to energy, but a regular rhythm is helpful. There are seasons in a mother’s life when enough sleep isn’t really possible. After those pregnancy and baby years are done, it’s often not the baby’s fault that we aren’t well rested and full of energy. The hours before the kids wake up and those after they go to bed are sacred to moms. They are our time. 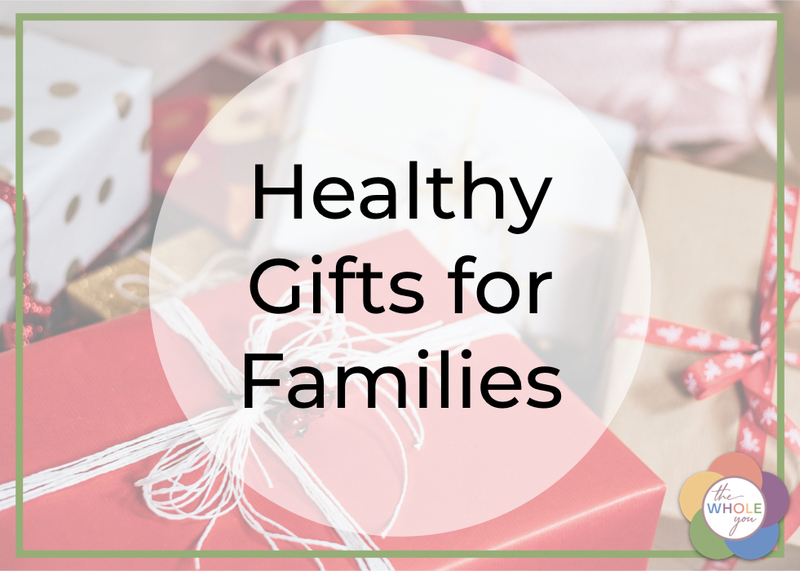 We use them to accomplish a lot—or to rest and chill without little ones needing our attention. Unfortunately, these hours often push our sleep schedule out of rhythm. The early morning mama might rise at 5:00 AM to hustle on her work from home business in a quiet house. She’s rocking those hours a few days per week but sleeps until 6:30 other mornings. The late-night mama dives into a workout, catches up on housework, and then turns on a show (with the intent of folding mount-washmore) until it’s the wee hours of the night. 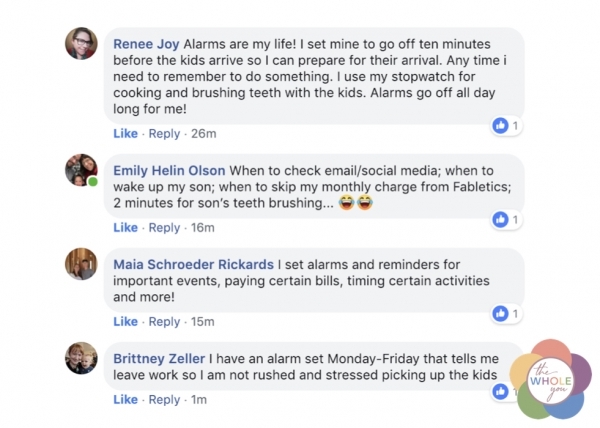 Both moms in these scenarios have an inconsistent sleep schedule. The lure of a quiet house has pulled more strongly than her bed. But we’re looking at it wrong. It’s not our bed that is calling. It’s our need for a consistent rhythm. 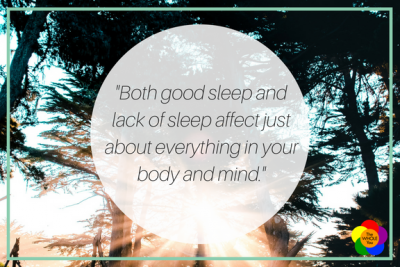 When we work with our body, supporting it, we allow a predictable sleep pattern. When you find that, you discover better energy. I am a night-owl mom. I need to set alarms on my phone telling me that it’s bedtime. Otherwise, the hours come and go and I don’t even notice the time. To boost your energy, try getting up and going to bed using the same schedule every day—yes, even the weekends. Comment below with your sleep schedule and how you accomplish (or plan to accomplish) that regularity. If you need help with the falling asleep part, sign up for my free Jumpstart into Refreshing Sleep and Rest 5-day email series. Right now you are lounging while holding your phone or sitting at your computer, right? I challenge you to tell Siri (or whatever voice AI you use) to set a timer for 60-seconds. Then get up and do something for one minute. What kind of something depends on you—march in place, run in place, do jumping jacks, do some squats, etc. When my kids do this, they go on an adventure. While staying in one place they swim away from an alligator, climb a tree, jump down, run across a field, and then climb a cliff—all in 60-seconds. Sometimes they do start to run around the room and sometimes they all want a turn leading parts of the adventure, so we go two or even 3 minutes, but by the end, everyone is energized and out of whatever funk they might have been in. Did you do it? If not, do it quick right now. ⏱60-seconds! How do you feel? Is your heart rate up? You are a bit warmer, right? And most of all, you are energized!? When we sit, we get tired. When we’re tired, we sit. The more we sit, the more we get tired. . . . You see the problem. A sedentary lifestyle is a tired life. Get up and move. Use an app like a pomodoro timer to remind you to move. I like this one for the iPhone, but I’m sure there are good Android versions out there, too! During a pomodoro interval, I work without distraction for 25-minutes and then get up and move for five. I often use those five minutes to run to the bathroom, jump on the trampoline for 1-2 minutes, and then refill my water. (In that order!) When I return to my desk/book/homeschool teaching, my mind is refreshed and I’m full of energy to tackle whatever is before me. This tip is for everyone. I know, it has the phrase “blood sugar” in it, but it is NOT just for diabetics. It’s for everyone. So don’t skip it. We all know what happens someone gets hangry. It’s no fun to be around them—especially when that “someone” is yourself! But another thing that can happen when our blood sugar drops is a huge drop in energy. Some of the foods you eat spike your blood sugar faster than others. This is based on how fast your body converts it into sugar (glucose) in your blood. The faster your blood sugar goes up, the faster (and more abruptly) it tends to fall. It’s when your blood sugar falls that we get hangry. We just want to eat. We are irritable. And we are tired. To avoid this drop in energy levels, focus on eating low glycemic meals and enjoying healthy snacks. You can learn about those things in my posts here and here, but the rule of thumb is to fill at least half your plate with veggies and put whole grains and healthy protein on the other half. For snacks, pair a fruit or veggie with some protein. I’ve got even more energy-boosting tips for you right here. Sign up for my weekly newsletter and receive this PDF as a bonus. Yes! I NEED AN ENERGY BOOST! Enter your info below to get this free download from Esther. Wife, homeschooling mom (4 boys!) and Registered Nurse. Health and Wellness Educator and Coach at The Whole You, LLC. 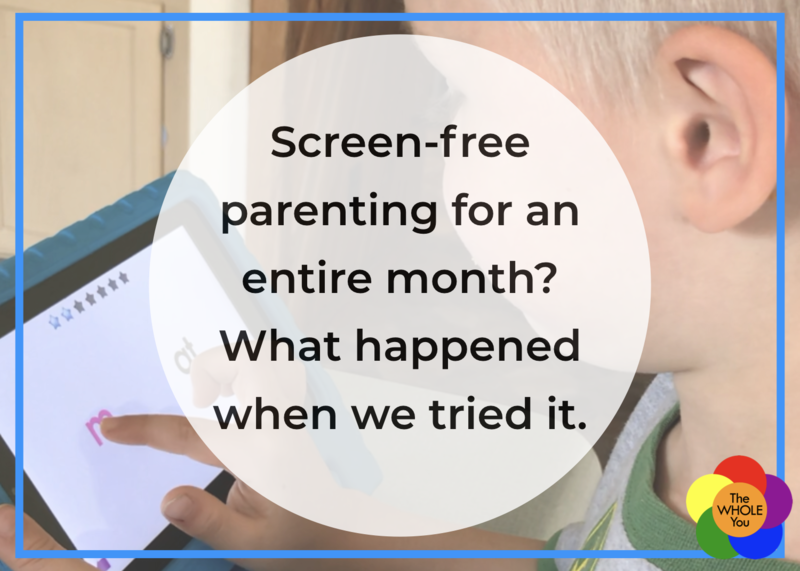 Screen-free parenting for an entire month? What happened when we tried it. Esther what wonderful tips. Thanks for adding such value to busy lives! You’re welcome, Judy! Which of these do you think will help you the most? Self-Parenting: When Self-Care isn’t Enough. Is My Poop Normal? How to Find out Plus 7 Simple Tips to Fix It. Does Disease Begin in Your Gut?